As you know that every cell has its nucleus in its center determining how the entire cell works, exactly in that way your upwork profile overview works as the nucleus of your whole profile. It is your key place which works to attract your client. Your overview will make your client get a full and final impression of your personality and your skill. And if you are trying to improve your profile as an article writer then it is obvious that your writing skill will be judged through your writing quality of your overview. It means as an Article Writer you must write your overview in an attractive way so that your client may get the proof of your skill of writing from your overview. 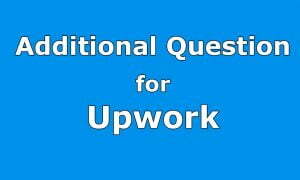 Now, if you really want to know the tips to write a killer upwork overview as an article writer stay with us. We will provide you with all the strategy of writing your overview including a sample for your convenience. Make your 1st sentence most attractive: You must understand a hirer won’t give his full time to review your full overview. He must check out hundreds other. So, ensure that your first sentence must impress your client to make him read through the whole overview. Put your best skill and experience here. Answer your client why you should be hired. Try to be Professional not Frank: Remember that your overview is not something like your cover letter. You cannot use any greetings like- hi, hello, dear sir, good day etc. as you are not writing to any particular person. Rather be professional with your speech. Your overview is simply a representation of you. And try to make the impression that you are fully devoted to your work. Focus on Your Best Skill Only: Even if you are good at many other sites, you should not highlight all these skills in your overview. Remember that hirers try to choose only the freelancers dedicated to one particular task so that he may be proved as master of that particular work rather than being students of thousand tasks. So, highlight your skill as an article writer only. Be Concise and Clear: You don’t need to write a lengthy overview. It will evoke your client to avoid your overview. Rather, be concise and to the point to your main thing. Make your overview more interesting to your client as you are presenting yourself as a writer. Make it Creative: As an article writer you must make your overview something creative so that your skill is expressed through your art of creating your overview. Never make any copy paste here, it will destroy your career. No Mistake: Ensure your writing has no mistake in grammar or spelling. It will damage your image to your client. Be Smart with Your Speech: Try to be smart and attractive to your client with your words. Here you go with a good sample of upwork overview as an article writer. Follow its decoration and create your own one. All the best! I am highly skilled, enthusiastic, self-motivated professional writer with a great successful experience of full five years. My education and research on the field has made me one of the most perfect professional writers. I must say writing is a kind of passion to me more than a profession. I love to write and aim to improve myself with each of my steps. In addition, I have a great communication skill and excellent convincing style to convince the readers through my writing if needed. I hate plagiarism but I love to research a lot to make my writing enrich with every necessary elements as my client demands.